Your first week of class is FREE! It’s our treat! Plus, enjoy FREE childcare for ALL classes. Drop in anytime and find a new way to move your body! Bust a move and get your heart pumping in this choreography-based dance class. Each class features a short dance routine set to pop music. We break down the choreography, step-by-step and with repetition, so that anyone can learn the moves! No dance experience required. Targeting posture, strength, and alignment this dance inspired workout is designed to sculpt long lean muscles and improve overall flexibility. You are sure to come out standing taller and feeling energized. Known for its grace and being the foundation of many other dance styles, ballet gives a dancer the ability to build proper control, strength, and flexibility. Designed to increase the flexibility and mobility you need to move freely through your life, this class focuses on gradually loosening, lengthening and strengthening tight and tired joints and muscles that keep you from moving with ease. Pulling music and movement from popular musicals, this class is just plain fun! Each class will focus on learning a short routine that is sure to be a crowd pleaser! Musical Theatre improves muscle memory and coordination. Thespians looking to improve their dance skills and enter an audition with confidence will love this particular class! Ever fantasize about dancing on Broadway? Everything from Chicago to Hamilton, learn the steps to multiple genres throughout this workshop series. Each four week session will focus on a different Broadway dance style with a heart pumping cardio warm-up! Participate in one, or all sessions! All levels are welcome. Advanced registration encouraged but not required! Tap is a great way for dancers to find their musicality and rhythm. Teaching coordination, syncopation and control, tap is a workout for your brain and your body! Strongly influenced by all dance styles, contemporary explores feeling and storytelling through movement and dance. Creating a strong emotional connection between the dancer and audience. It’s no wonder this style is so popular on “So You Think You Can Dance?’! Utilizing upbeat popular jazz music gives a dancer the ability to develop strength, flexibility, and agility, while keeping it sassy and fun. Are you sick and tired of your typical cardio sessions? Are you looking for a place to let loose, and leave all of your worries at the door? Our fusion of dance and cardio power movements will have you feeling unstoppable in no time. You can expect to workout to today's radio and club hits. From squat series, to sassy salsa steps, you'll soon see why our participants leave with a pep in their step! Mindfulness, stillness and gentle movement are key components in Restorative Yoga, a practice that focuses on slowing down and looking inward to cultivate a sense of peace and relaxation. Fewer poses are held for longer periods, often with the use of props to assist. Restorative Yoga is associated with stress relief, improved sleep and an increased sense of overall wellness. In the midst of today’s addictively frantic pace, challenge yourself with calm and presence. Power Yoga is a fitness-based Vinyasa practice. An offshoot of Ashtanga Yoga, it has many of the same qualities and benefits, including building internal heat, increased stamina, strength, and flexibility, as well as stress reduction. Teachers design their own sequences, while students synchronize their breath with their movement. Work up a sweat, and come out feeling refreshed! Power Pilates is an energizing and upbeat class that uses over 500 controlled and safe postures from Joseph Pilates. Enjoy 30 minutes of a full body workout that targets isolated muscles that boost metabolism, support posture and help tone muscle! Feel refreshed and awake after using different tools like discs and the yoga ball to incorporate stretch, alignment and engagement. Ashtanga yoga is a system of yoga transmitted to the modern world by Sri K. Pattabhi Jois (1915-2009). This method of yoga involves synchronizing the breath with a progressive series of postures—a process producing internal heat and a purifying sweat that detoxifies muscles and organs. The result is improved circulation, a light and strong body, and a calm mind. With popular hip hop music this class is sure to be a full body workout! Utilizing fluid and isolated movement, learn to express yourself in a fun new way! 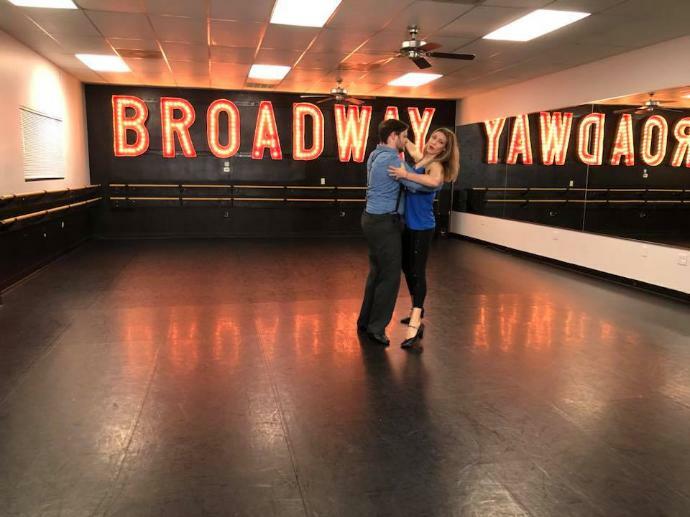 Explore ballroom dancing! Partners are not required. Ballroom styles will rotate monthly, making the first class of every month material that is brand new to everyone! Want more? Check out our Performance Team!